Despite the bathroom usually being perceived as a place of rest and relaxation, let us not forget the morning bathroom visits at max speed, taking the world’s quickest shower before shooting off to work, trying to catch your train. If you have time to lie about in the bathtub or stand around in the shower, it can most definitely be quite the unwinding experience, sadly, that is very rarely the case. Usually you’re just trying to go through your morning routine as quickly as possible, just so you do not have to listen to your boss giving you a lecture on Monday morning. Let’s look at some recent developments in bathroom technology which could streamline your morning shower, or just generally allow your bathroom to get a head-start on the upcoming hi-tech revolution. While the west is still living in the middle ages, Japan has the future sorted in their very own bathrooms. With features such as a pre-heated toilet seat, a hand washing and toilet flushing combo, you can see why our toilets pale in comparison. Most Japanese toilets completely negate the need for toilet paper, it can wash you and dry you after you are finished taking care of your business, with a mere press of a button or two. With the help of motion sensors, it can even lift and close the lid whenever needed, the future truly is now. It is honestly baffling why someone has not made millions from selling this kind of technology here, it seems like a rather untapped market. That is probably the fault of mediocre exposure and advertising though, chances are the large majority of people are not even aware of such a thing existing. The majority of the population just has a generic run-of-the-mill tap which sits and just releases water when turned. While this is a tested and effective design which has been around for as long as sinks have, it does leave much to be desired. Fortunately for everyone, more updated designs with usability in mind are slowly popping up their heads every now and again which are most definitely worthy of your attention. You can now even get sink taps with a movable spray, which pulls out with ease and makes cleaning your hands or face a much easier and effective ordeal. It’s small upgrades like these which truly improve your overall quality of everyday life. As you might already be thinking, showers are not the most difficult thing to operate, neither do they really do much which is worthy of any other use. The point to be made here is that you’ve probably never even thought how useful a programmable shower could be for someone such as yourself. Allowing you to control the temperature, amount of water, a pre-settable defined shower time and even the option to communicate with your other potential bathroom gadgets like your sound system. All this packed into a handy touchscreen interface does indeed sound rather enticing, does it not? Singing in the shower with no backing track? Have you ever felt like your bathroom singing could use a backing track? Felt like you just simply could not make the most of your vocal chords without some accompanying music? 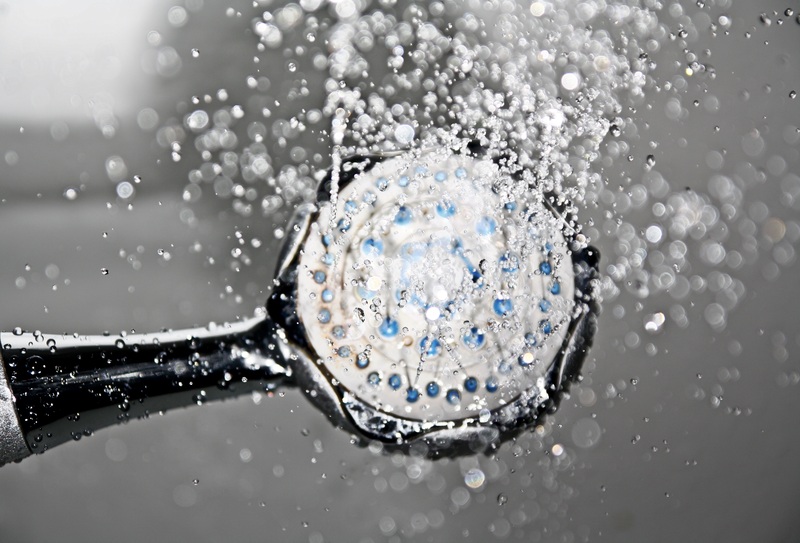 If your phone speaker is not satisfactory, you could always invest in a shower sound system. Of course, more unique shower heads have been somewhat of a fad for the past few years, but have you ever considered that your shower could play the music you love? If you’re feeling fancy, you could get the full set along with it, and decide to pick up an in-wall waterproof TV. It might seem like something completely silly or unnecessary at first, but you might not know just how much you need such a thing, before you have tried it. If you feel like an in-wall TV is tacky or something along those lines, you could always go the extra mile and turn your bathroom mirror into a TV as well. Rather than handling a whole new installation and fitting the TV into the wall, you could just replace your mirror with a TV instead. Of course, a mirror is still needed after all, how else could you brush your hair, but the great thing is you can alternate between the 2 whenever you want. Being a more recent technology, it is slightly more pricy, but just think of the benefits. You will be able to watch your morning TV in your bathroom while you brush your teeth.